It’s a dog-eat-dog online world out there. 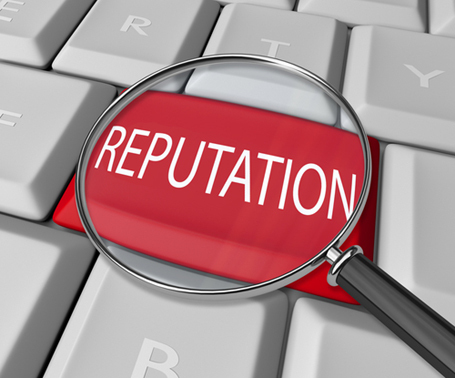 Just ask any business owner that’s seen their online reputation ruined by one scorching review on Yelp, or an angry customer causing trouble on the Web site comments and social media channels. Even the smallest business should have some level of online presence in today’s connected world. People are so accustomed to using Google now that they’re more likely to discover the store around the corner in a search results page than they are on an afternoon stroll. It’s easy enough to get online with the myriad free web services available, but once you are, how do you protect against getting torched by an unfair customer? Keeping a positive online reputation can be challenging. It’s so easy for anonymous commenters to be negative in reviews, yet those reviews can hurt your business and make prospective customers think twice before visiting your store. Megan Totka, the chief editor of ChamberofCommerce.com, has a couple ideas about how to avoid that fate. In a Business.com article, Totka gives some straight-forward and actionable advice on online reputation management. The best part is, it’s not complicated or expensive to do. Just communicating how clients can best contact you, regularly checking online forums for discussions about your company, and asking customers for feedback can go a long way to creating that positive online brand.